There’s a new road legal performance car on the market, and it’s from Slovakia. 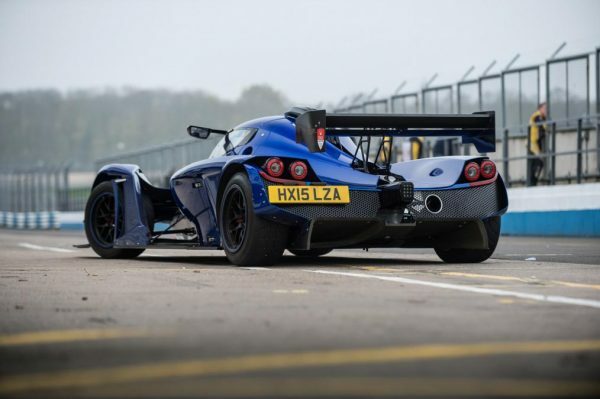 The Praga R1R is the company’s first road car in 68 years. It’s made of carbon fiber, looks like an alien hybrid of a Lamborghini and a fighter plane, and carries with it a reputation some in the states might not know. Praga has since 1907 manufactured motor vehicles. The company has built cars, farm equipment, trucks, tanks, aircraft, carts and endure motorcycles. But for it to roll out with such a competitive and high end road racer is most certainly impressive. The R1R is sort of dubious as a “road” car. In fact, really the only elements that make it road legal are some turn signals and a couple rear view mirrors. But really, it’s designed to race. It packs 330 horsepower, with a turbocharger. “Even if you’re used to a really radical type car, this feels really grown up, it’s incredible,” remarks the test driver in a video showcasing the car. Generally, performance cars like the R1R are the stuff of kings and well sponsored hotshots. But if you have around $180,000 laying around, then you could really make your late night drive-through trips something special.After all it is street legal.